Ryan to play for England! Many congratulations to Ryan Reed, who has been asked to play in the England team at the end of August against a team from France. It means he will have to travel up to Liverpool yet again (I think Ryan's Dad knows the way there with his eyes shut now!) but it will be a journey well worth making and we wish Ryan all the best in his first international match. Oundle School's Sam Herring was drafted into the England Team for this year's Glorney Cup tournament. This is a 4 Nations championships, with teams from England, Scotland, Wales and Ireland playing at various age levels. Sam played in the Robinson Cup section, and scored a very good 3.5 out of 6. In what was a very close section the team finished in third place with a score of 17.5 points, just 2.5 points behind the winners, Wales. Sam now has the whole weekend to recover and travel north, as he makes his way up to Newcastle to take part in this years British Championships! All the details of the Glorney Cup tournament can be found here. A number of players associated with the NSCA made the trip up to Derby for this year's Northern Gigafinal - some played on the Saturday, and some on the Sunday, depending on which age section they were in, but every player gave their all in trying to qualify for the Terafinal taking place the weekend of 19th/20th August in Loughborough. In the Gigafinals the top player in each section qualifies for the Terafinal, whilst the second placed player plays in the Challengers section of the Terafinal. This year however there is also the new Plate competition, which is for those players who scored 3.5 or more, but failed to qualify for the Terafinal. The plate competition is due to take place in Manchester on August 25th, but full details will be sent out by the organisers in the coming weeks to all the relevant players. Well done to all six players who represented Northants in the Under 13 Minor section at the recent ECF Junior Team Championships, held in the iconic surroundings of Eton College near Windsor. Northants finished an impressive equal 6th out of 15 teams. Special congratulations to both Sam Herring and David Collyer, who each scored a perfect 3 out of 3. They were ably assisted by James Kearney, Kyle Patel, Tommy Winston and Reece Patel. All the scores and details can be found here. James kearney also had the distinction of being involved in the best game of the day. This year's SSAFA tournament took place at Ruskin Junior School in Wellingborough on 23rd June. This was the last part of the inaugaural NSCA Grand Prix, so there was even more to play for than usual. This, along with good turn outs from both the Northampton Junior Chess Club, and Kettering Park Junior School, resulted in a very large entry list, and the school was only just large enough for us! This also meant we were able to raise the wonderful sum of £500 for the Soldiers, Sailors, Airmen and Families Association (SSAFA) which was collected on the day by Mr David Youngs from SSAFA, so thanks to everybody for what was a very successful event. The results on the day were very close, with many winners having to be decided through the tie-break system of "sum of progressives". For the winners of the SSAFA tournament click here, whilst for the Grand Prix winners click here. James Kearney, who lives just over the border in Rugby, took part in his first England trip, being part of the England Under 12 team that recently travelled to the Czech Republic. James gave a good performance to be part of the victorious England team, who beat Prague 19.5 to 12.5. Many congratulations to James on his first international duty. A full report of the trip can be found here. Eva Ressel has been playing extremely consistent chess all season, and this has been reflected by her constant place this year in the ECF Grand Prix, both for Juniors and for women. The ECF Grand Prix takes account of all the graded games that a player is involved in, and the best performing make the list, which gets updated a number of times during the season. However, two more Northants players have managed to climb their way into the latest ECF Junior top 50 placings, with the inclusion now of Sam Herring and Owen Robinson. This wonderful showing of three Northants players displays the continuing progress that is being made by many of our chess players. You can see all the lists here. Many congratulations to Eva Ressel, who has finished this year's ECF John Robinson Grand Prix as girls Under 12 Champion. This is an event that covers the top Junior tournaments each year, and the winners of each section get financial help towards coaching and travelling costs. A wonderful achievement by Eva, who has had a very successful 2011/2012. If you would like to know the tournaments which count towards the Grand Prix the details of how to be a part of this can be found here. For those of you who have been wondering when the last tournament in this season's NSCA Grand Prix is taking place, you can now put Saturday 23rd June in your diaries, as that is when this year's SSAFA tournament is taking place, at Ruskin Junior School in Wellingborough. Entry forms will be sent out soon, but a link to the entry form can be found on the calendar page. Money raised from this tournament will go directly to SSAFA, so if you would like to find out about the important work that SSAFA do why not take a look at their website here. Many congratulations to Barnet, who followed up their Under 9 triumph with victory in this years Under 11 final - an outstanding achievement. After going behind in round 1, they proceeded to improve their score in each of the subsequent rounds such that they came out on top by 5.5 points over Wey Valley. Hopefully next year our own Under 11 team will succeed in making it to the final stage again. Eva Ressel has been named in the England team to travel to this year's European Youth Chess Championships which take place in Prague during the second half of August. The NSCA would like to wish Eva all the best as she competes in the Girls under 12 section. For more information, and a list of all the English players going, click here. Ryan Reed made the long journey up to Liverpool to take part in this years EPSCA England Team Trial. He scored a very impressive 3.5 out of 6, but unfortuanetly this year that was just not quite enough to qualify. But many congratulations to Ryan for representing Northants so well, and we all wish him the best of luck as he continues to try and qualify through the relevant tournaments. If you would like to know which tournaments you need to play in to try and qualify for the national team, either now or in the future, click on the following link here. 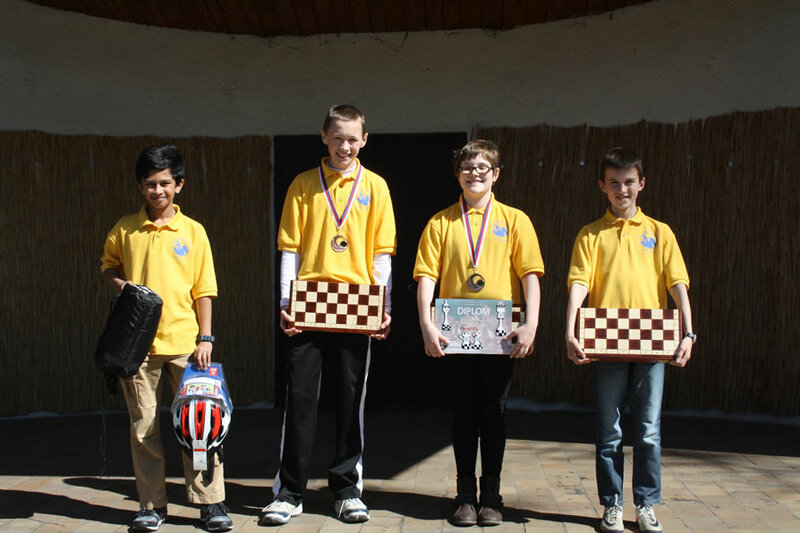 A number of Northants players took part in the recent Cambridgshire Rapidplay Tournament. The best performing of these were Sam Herring and Owen Robinson, who both scored 5 out of 6, and took a share of first place in the Challengers section. A list of all the winners can be found in the following file, and hopefully cross tables will follow shortly. It's a busy time approaching, with the Under 9 National Finals on April 28th - good luck to the whole Northants team. Meanwhile it is the Under 11 England trial the same weekend - good luck to Ryan Reed who will be travelling to Liverpool for that. A number of Northants players will also be travelling to Peterborough on the 29th for the Cambridgshire Rapidplay. Amoungst them will be Sam Herring, who continued his good form last weekend, by scoring 3 out of 5 at the Nottingham Congress. Good luck to Sam and to the other Northants players who are making the short hop over the border-line. As always we will keep you informed as to how all these tournaments go, so keep checking for updates during the coming days. Please also note that the County training for under 9s and under 11s that was due to take place on May 5th has been put back a week to the 12th - those involved should receive information in the next few days. 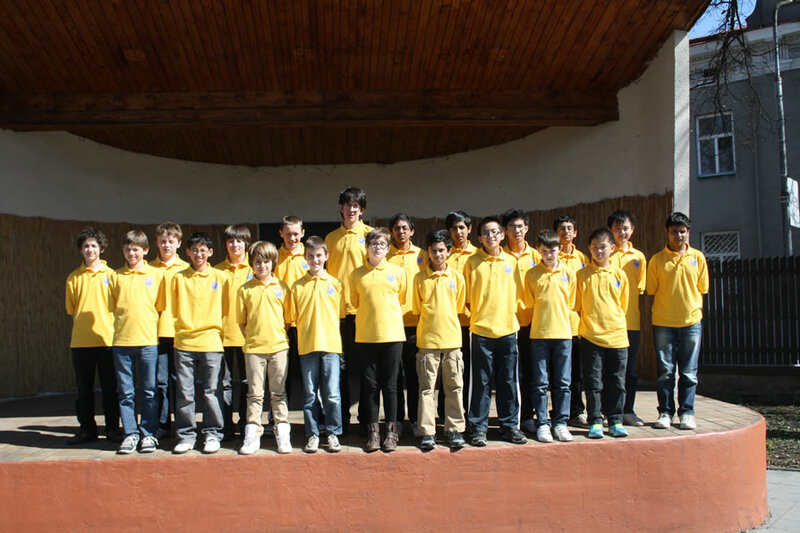 This years Junior Squad Championships took place in Kingston-upon-Thames, and there was a good turn from Northants with 7 players making the trip. In the under 14 section Owen Robinson had the most success, scoring 3 out of 5 and obtaining a half norm towards a place in the England Junior Team. He had everybody on the edge of their seats during the fourth round, when his time ran out whilst in a winning position against one of the top players, who himself only had 4 seconds left (!) but the draw from that match provided that vital half point that Owen required. Also in that section were Marcus Rose with 2.5 pts, Sam Herring with 2 pts, and Harry Bowman who was competing in this high level competition for the first time. In round 1 he and Marcus were drawn together, and in round three he found himself up against the top graded player in the competition, but he played very well and was unfortunate not to have gone home with more than 1 point for his efforts. We look forward to seeing Harry at more of these competitions in the future. In the under 12 section Eva Ressel continued her fine form after her international duties and scored 3.5 out of 5, whilst Ryan Reed scored 2.5, just missing out on a second half norm himself due to his draw in his final game. But Ryan travels up to Liverpool later this month to participate at the England trial taking place there - we all wish Ryan the best of luck as he represents Northants. A mention should also go to James Kearney who, although living over the border in Warwickshire, often plays in our local competitions. James has been playing at more and more high quality events and he, like Eva, finished on 3.5 points. This gave James his second half norm after he scored 4 out of 6 at the West of England Championships back in February, and so James has now fully earned his place in the England Squad and has already been called into action, as he is going to be playing in the England team when they travel to Prague during the next half term break. Many congratulations to James on this achievement. In the under 10 section Max Miller also scored 2.5 pts, and whilst Ryan plays up in Liverpool Max will be fronting the Northants under 9 teams efforts at the National finals taking place at the same time - we are hoping they can make home advantage count when a further 18 teams from around the country come to play in Northampton. Well done to all the Northants players who took part in the Junior Squad championships - the Northants contingent is forever growing at these high level competitions which is wonderful to see, and all the players and families support each other really well. Next year this tournament is due to take place much closer to home, as HInckley Island in Leicestershire has been chosen as the venue. So, it may be some time away yet, but put the weekend of 6th/7th April 2013 in your diaries now!! For a full account of the winners and placings in each section follow the link here. Whilst all the scores can be found here. Huge congratulations to Eva Ressel on her performance playing in her first international match since qualifying for the England team earlier this year. During the first week of April she travelled with the rest of the team to the Czech Republic to play in the 33rd Tournament of Young Talents. She impressed straight away, and ended up in 3rd place overall in the under 12 girls section - a wonderful performance to be proud of. A detailed account of the event can be found here. Oundle's Sam Herring came within half a point of 3rd place when he played in this two day event down in St Albans. Sam finished with 3.5 out of 5 in the Intermediate section, whilst his Dad also played in the same tournament, finishing on 2.5 out of 5 in the Major section. A very good warm up for the upcoming Junior Squad tournament the weekend after Easter, where quite a few Northants players will be taking part - we will keep you up to date with how they do. All the results of the St Albans tournament can be found here. Owen Robinson made a very successful journey to Birmingham for their Rapidplay championships, finishing in joint 2nd in the Intermediate section scoring 4.5 out of 6 courtesy of three wins and three draws. Many congratulations to Owen on this great result. All the scores of all the sections can be found by following this link. Eva Ressel made the trip over the border to Buckinghamshire to take part in the Inter section of this years High Wycombe Congress. This is a five round tournament played over three days, and Eva did well, coming away with 2.5 points. Eva may be interested to know that High Wycombe is where the Northants under 11 team manager Ian Rose comes from, and looking at the list of players competing one of his old school chess team mates was playing in the same section as her! All the scores of all the sections can be found here. Sadly the under 11 team failed to make it to this years national finals. After a long day of competition, against some very strong counties, they just failed to catch the hosting Richmond team. Every player gave their all, but the level of competition proved to be just too strong for us on the day, and so the under 9 squad will this season be our sole national representatives. Well done to every player who took part on the day, and both squads will get together again soon for some more training. Under 9 team qualify for finals! Congratulations to the under 9 team, who just 7 days after becoming Midland Champions, have now qualified for this years national finals, which will take place in Northampton at the end of April. Their trip to Essex proved to be a match of very close scores. With Barnet Knights winning on the day, there were only 3 points seperating the next 5 teams, Northants finishing in joint 5th, and with qualification assured. Whilst our under 9 and under 11 teams were performing so well in Nottingham, Owen Robinson and Seth Tsang were also playing well. They made the trip to Solihull to take part in this years Warwickshire Congress. Playing over two days both of them did well, with Owen finishing on 2.5 out of 5 and Seth on 2 out of 5. There is another competition Birmingham way later this month with the Birmingham and District Rapidplay on 25th March. Don't forget, to see details of this and other tournaments keep checking the calendar. Yes, we have a championships team again, but this time it's the Under 9s! For the first time since 1985 Northants can proudly call themselves the Midlands Under 9 champions. With some great play by all involved, they finished 2 points clear of the top Nottingham team, and so they now go into next Saturdays national qualifier with their sights set high! Congratulations to every player, and also to their manager John Warren on this wonderful result. The Under 11 section was a very close fought affair, with 7 teams of 10 taking part from Nottingham, Lincolnshire, and Northants. With just 2 points covering the top 4 places the first Northants team finished in joint 3rd place. Congratulations to all those involved in both under 11 teams, and they can now look forward to their own national qualifier on March 17th. Good luck to both teams in their attempts to reach this years finals, both of which will be held in Northampton. _Six Northants players made the trip west for this years Wiltshire & West of England Championships which took place in Swindon. The level of play here is always of a very high standard, and all the players came up against some really tough opponents, but everybody gave their all and finished with very respectable scores indeed. The players also supported each other very well, and it was great to see such a great team spirit amoungst the Northants players. In the Under 12 championships Eva Ressel scored an impressive 4.5 out of 6 to earn the best girl title. Many congratulations to Eva on this result. Also in the under 12 section Seth Tsang scored 3 and Ryan Reed scored 2. In the Under 14 section Marcus Rose scored 3 out of 5, Sam Herring scored 2.5, and Owen Robinson 2. The full list of winners can be found here, and photographs of the winners here, whilst further details can be found here. 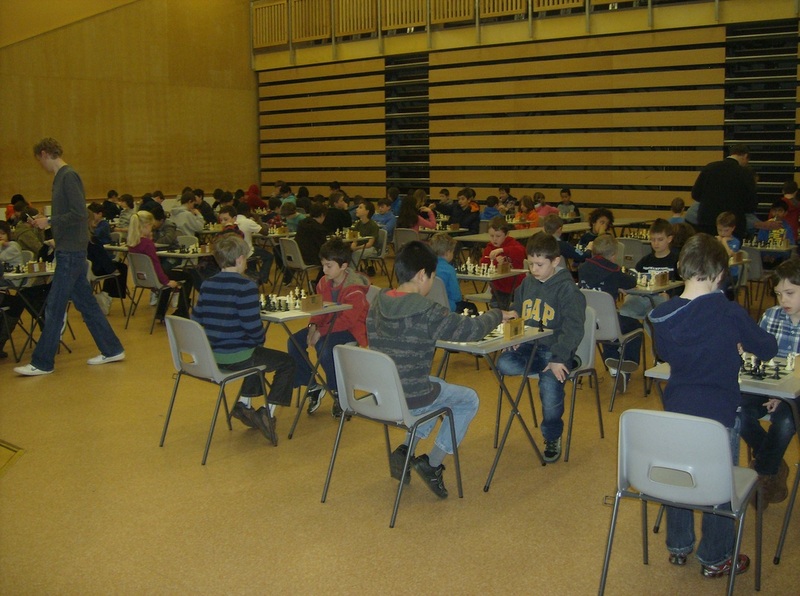 _We returned to Malcolm Arnold Academy for this years County Championships, and the new layout seemed to be a big hit with players and parents alike. 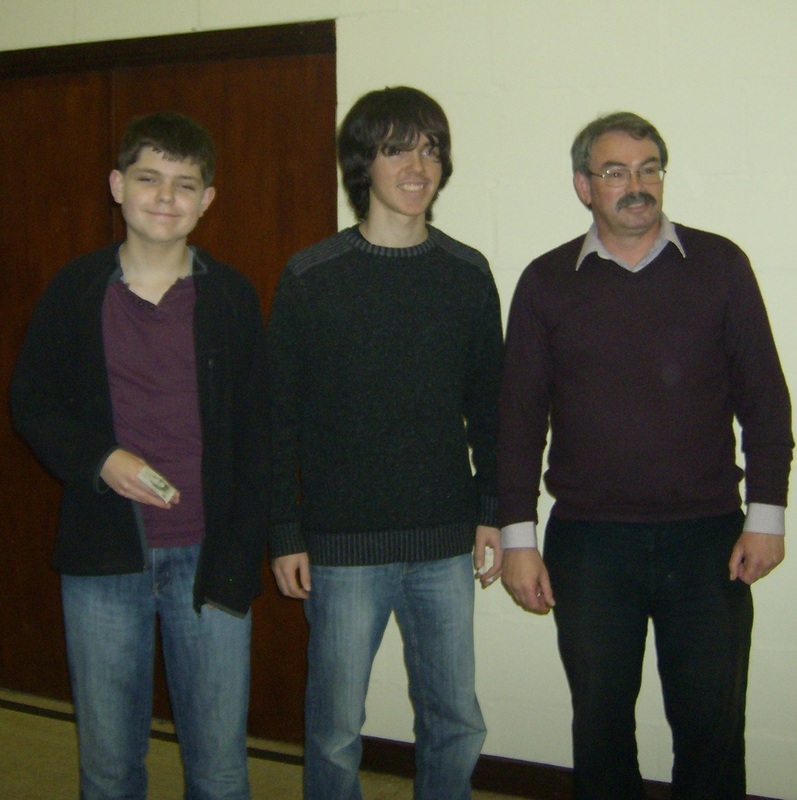 Despite it being rather cold outside, inside it was lovely and warm, and some great chess was played, resulting in this years County Champions being crowned, and some rather close scores in the latest lists for the first NSCA grand prix. The lists of winners can be found here, whilst with one tournament left to be played (SSAFA) the latest grand prix scores can be found here. Six Northants players made the journey to Yateley Manor for this years South of England Championships - a weekend competition to which most of the best juniors from around the country attend, making it a very tough tournament. In the Under 13 open section Sam Herring scored a very impressive 4 out of 5 and won the section title and a trophy on tie-break. In the Under 12 closed section Eva Ressell achieved her second half norm scoring 3 out of 5, and finishing in joint 5th, and so many congratulations to her as well on this achievement - by scoring her second half norm she will now be invited to join the England Junior Squad, and will soon be representing the country! Also finishing in joint 5th, this time in the under 9 section, was Max Miller, who scored 4 out of 6. Three more from Northants playing were Ryan Reed (under 11) Owen Robinson, and Marcus Rose (both under 14 closed) They all found the weekend quite tough going, with Ryan and Owen finishing on 1.5 out of 5, and Marcus on 1 out of 5. It was great to see so many Northants players at this competition this year, and also to see all the very supportive parents - well done to everybody involved. The cross tables from all the sections can be found by clicking here. This competition takes place over a number of weekends during the year, with teams competiting from all over the country. Four of our county players put a team together for their first entry, and came out top in their section, winning by the narrowest of margins, half a point. The players were Nathan Judge, Max Miller, Samuel Libertiny and David Collyer. Three of these go to Great Houghton School, and the other attends Chesspoints, so they named themselves appropriately Great Houghton & Chesspoints. Many congratulations to all four players on this great success. 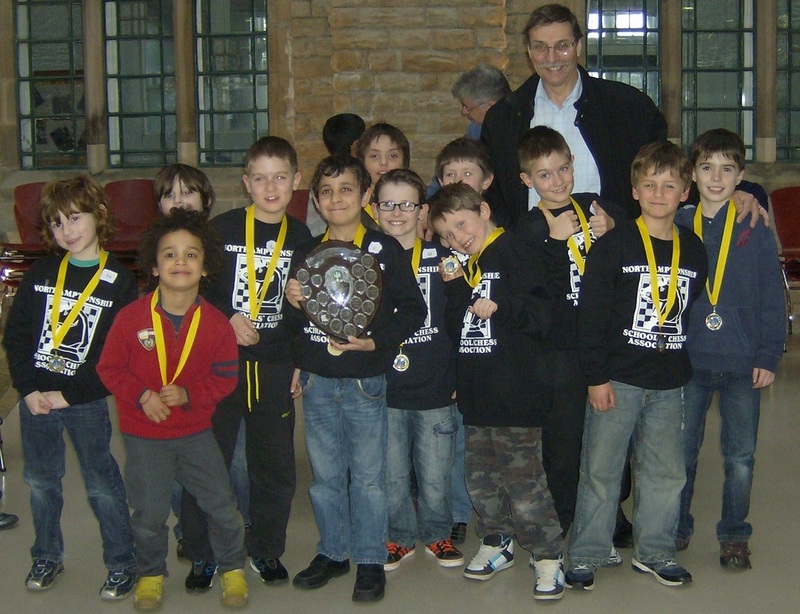 Congratulations also to the many players that attend this competition from the Northampton Junior Chess Club - an impressive total of four teams! A number of Northants juniors have been taking part in competitions this weekend (14th/15th January) In particular, many congratulations to Ryan Reed, who played in the EPSCA Rapidplay Championships in Liverpool, and came away with 3.5 out of 6, gaining himself a half norm towards earning himself a place at the England qualification weekend in April. If you would like to know what you would need to do to try and gain a place in that qualifying event you can find all the relevant details here. 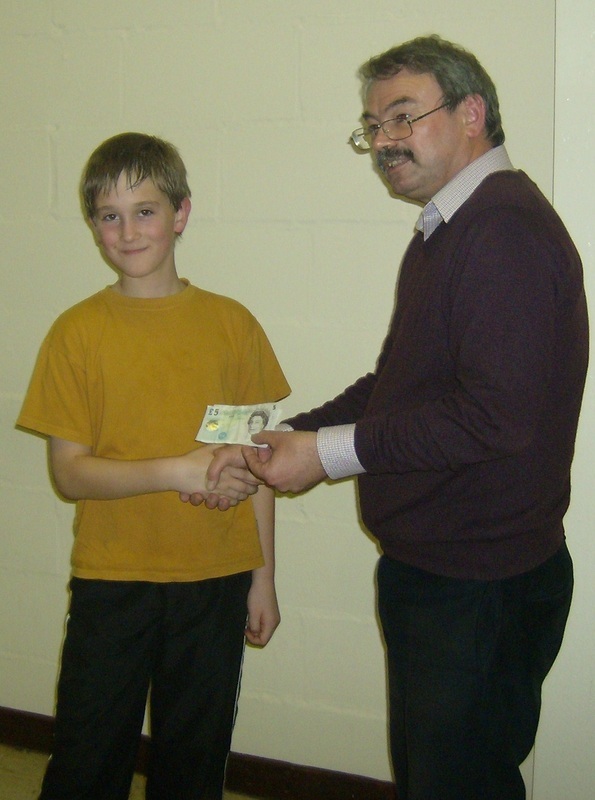 Whilst Ryan was performing well up in Liverpool, a number of other juniors played well in the John Robinson Rapidplay, which is the premier rapidplay tournament of the Northamptonshire Chess Association. Sam Herring, Owen Robinson and Marcus Rose shared the Junior prize, all scoring 3.5 out of 6, whilst Luke Tooth, Tommy Winstone and Sam Young all shared the Under 90 Grade prize, scoring 3 out of 6. Niall Martin played very well to finish just half a point further back, whilst the junior presence was completed by Myles and Laurent Collymore, RohitSonku, and Luke Townsend. Following this season's Christmas Congress the latest positions in the first NSCA Grand Prix have now been updated. To see the leaders in each of the sections click here. 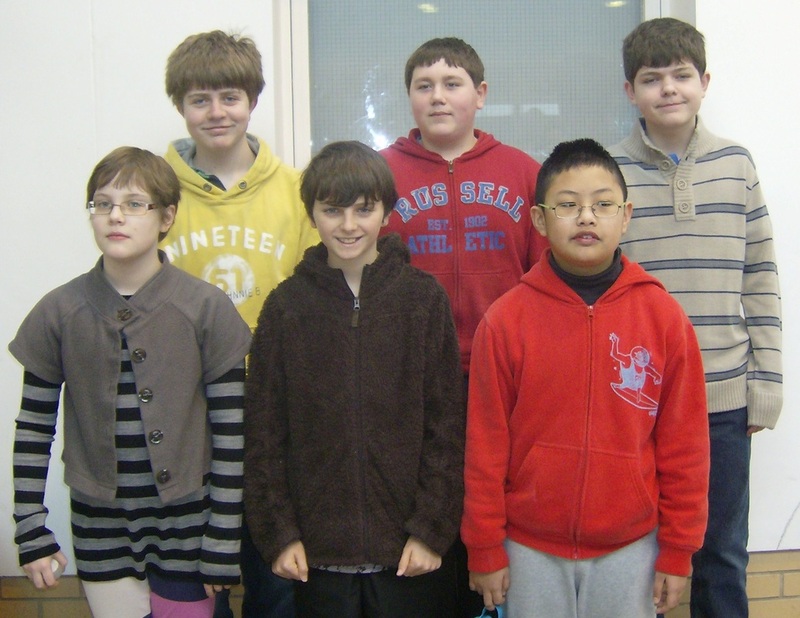 _Whilst some of our county players were taking part in the Christmas Congress, others travelled down to London for the second part of this years London Junior Chess Championships. This time it was the turn of the Under 12s and Under 8s. In the Under 8 section Max Miller followed up his strong showing in the under 10s by finishing 4th out of 60 with an impressive 5.5 out of 7. But Max was not on his own, as both Joseph Meisner and Josh Khangura scored 4 out of 7, and also representing Northants were Christopher Trotter, Thomas Caskey, William Caskey and Reece Mitchell. With 7 players in the Under 8s, we had a 'mere' three in the Under 12 Majors, and the top performing of these was Eva Ressel, who scored a wonderful 6 out of 9. She had a tough draw, being paired with the top graded player in round 1, but far from being fazed by this she played strongly to finish in joint 6th out of 79 players, and went home with the title of best girl. Also representing us in this section were Ryan Reed and Thomas Winstone, whilst in the under 12 Minors we had Jade Miller, who scored 4.5 out of 9, and also Samuel Gilkes. It is great to see Northants represented by so many players over the various sections during the two playing periods of this years LJCC, with some great performances from many players. Congratulations to all our players who took part, and especially to the high performing Sam Herring, Eva Ressel, and Max Miller. For all the results and cross tables from all the sections click here. _The annual Christmas competition took place at Ruskin Junior School, and the number of entrants was up yet again - wonderful to see so many players wishing to spend a day from their Christmas break playing chess. Sam Herring continued his impressive run of form by winning the under 14 section, whilst the under 11 section was won by Sam Young - the only player of the day to score a perfect 5 out of 5. For all the winners you can visit the results page here. LJCC - we have a champion! Many congratulations to Sam Herring on a wonderful result in the Under 14 Minors at this years London Junior Chess Championships. Needing to win his last game he did exactly that to take the title outright, scoring 5 out of 6 - a wonderful result. All the sections in the Under 14 and Under 10 competitions had huge strength in depth and so it wasn't necessarily quite so rewarding for the rest of the Northants contingent, but everybody did their best and seemed to enjoy themselves most of the time. In the Under 10 Majors Max Miller was our highest scoring player with 3 out of 7, with Myles Collymore, Pacey Gwynne, and Ethan Majeks also giving their best in this section. In the Under 10 Minors Tyler Gwynne was our highest scorer with 4 out of 7, with Reece Patel just half a point behind. In the Under 14 Majors Marcus Rose was our sole representative, scoring 2.5 out of 6, whilst in the Under 14 Minors Daniel Lambley was our second Northants player, along with of course the title winning Sam Herring. Well done to all nine players on their play in what has become a very high quality event. For all the results and cross tables from these sections click here. Whilst Max and Eva made the journey south, three other Northants players made the journey north, to Liverpool. Marcus Rose, Owen Robinson, and Seth Tsang were selected to be part of the Midlands squad in an annual quadrangular tournament which pairs them up against three other teams representing Scotland, Wales and The North of England over two days. Marcus & Owen were in the Under 14 team, who narrowly lost out on 2nd place to Scotland - Owen was one of the few unbeaten players, achieving one win and two draws. The North, who are always strong in this competition, won the Under 14 section. The Midlands however came out on top in the Under 12s, and Seth scored the perfect 3 out of 3 in this section. Well done to all three players. For a full report of the weekend click here. Part of the London Chess Classic, this Junior event took place at the Olympia Conference centre in London, and there was a very good turn out of 75 junior players overall. Two of these came from Northants - Max Miller and Eva Ressel. Both players did very well: Max scored 4 out of 6, and finished in joint 12th place, whilst Eva scored 3 out of 6 and finished in joint 29th place. Well done to both players on their performances in this high quality competition. A full cross table can be found by clicking here. _Whilst we were hosting our Congress, Eva Ressel was making the trip up to Leeds to participate in this years British Rapidplay Championships. On Saturday she scored a very respectable 2 out of 5 whilst playing in the Under 16 section, and then on Sunday she went one better, scoring 3 out of 5 in the Under 12 section. For full details of the championships click here. _This years Junior Congress was a great success with a very high attendance. Many thanks to Kay Gerrett, the Head at Cedar Road Primary School, who made us all very welcome, and who also presented the trophys at the prize giving. The use of the school was very much appreciated. In the under 12 section Tommy Winstone scored a perfect 6, as did Adam Bennett in the Under 8 section. The results page is now complete, so to find out the winners and runner-ups click here. Also, for the latest top player positions in the NSCA Grand Prix, click here. Max Miller of Great Houghton School recently made the trip down to Barnet to take part in the 43rd Barnet Knights Tournament and came away with a very impressive 4 out of 6, to finish in joint 5th out of 35 entrants in the under 8 section. To see all the Barnet results click here. He then followed this up with a trip to Middlesex to take part in their County Junior Chess Tournament Under 8 section, and came away with 5 wins out of 6 and 1st place! This qualifies him for the Under 8 section of this years London Junior Chess Championships - the LJCC. On a roll, Max then entered the Under 10 section of the Barnet and Finchley Annual Junior Congress, and scored 4.5 out of 6 resulting in qualification for the Under 10 Major section of this years LJCC as well. Many congratulation to Max on these brilliant results, and lots of luck for the championships in December. _The NSCA were proud to be organising this years Cole Trophy, the Northamptonshire Senior Championships, on behalf of the Northamptonshire Chess Association. We were even more proud of our very own Owen Robinson, who came within just half a point of winning the competition, finishing in a wonderful joint second - many congratulations to Owen on a brilliant weekends play, resulting in a final score of 4 out of 5. Congratulations also to the overall winner, James Jackson, who of course used to play for the NSCA until only a few years ago. Well done also to Marcus Rose & Ben Jackson who shared the Junior prize by finishing on 3 out of 5, to Seth Tsang who won the under 125 graded prize, also on 3 out of 5, and to James Virtue who won the Junior Under 100 prize, scoring 2 out of 5. A wonderful showing by these, and all the other players respresenting the NSCA in this tough competition. Here you can see all the NSCA winners being presented with their prizes by our own David Knight, who is also the Northants Chess Association treasurer. section of the Birmingham Rapidplay with a score of 4.5 out of 6. 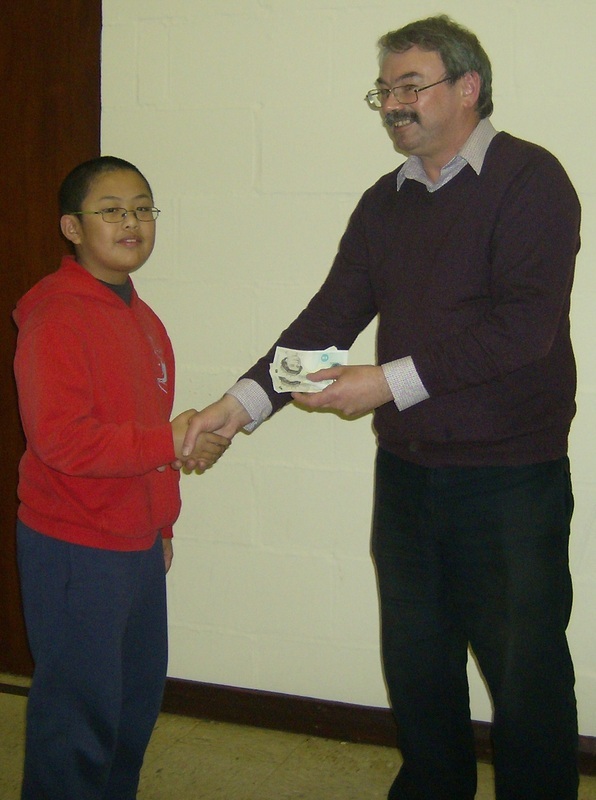 _Congratulations to Owen Robinson, Seth Tsang and Sam Herring who all performed exceptionally well at the recent Cambrdidgeshire rapidplay tournament. All were competing in the Challengers section, along with Ryan Reed and James Virtue. Owen finished joint 1st on 4.5 out of 5. Seth was joint 3rd with 4, and Sam won the Junior prize with a score of 3. Ryan finished on 2.5 out of 5, giving him second place in the Junior section, and James was just half a point further back on 2. Well done to all five players who represented Northants so well. 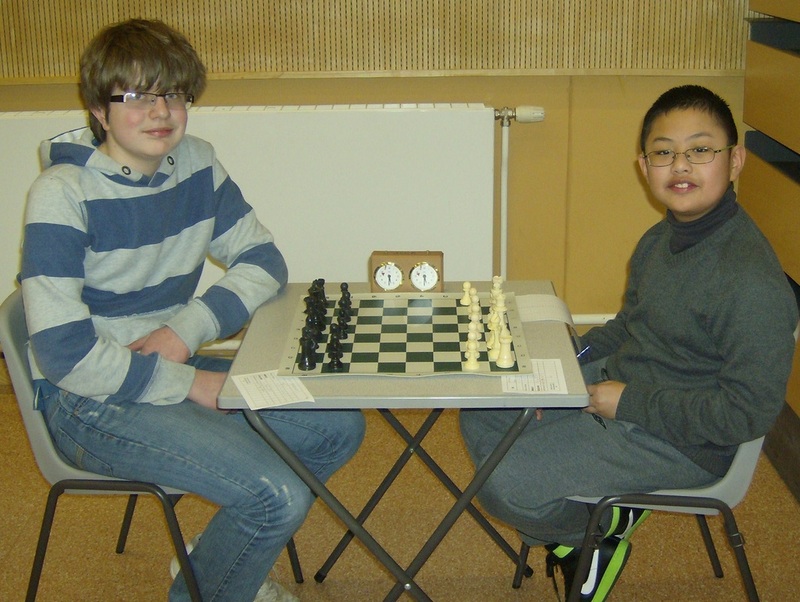 Well done to both Pacey and Tyler Gwnne, who have both qualified for the London Junior Chess Championships. They, along with Reece Patel, made the journey down to St Albans to participate in the Hertfordshire Schools Chess Association Championships, Pacey and Tyler both scoring 4 points, Reece 2.5 points. Well done to Marcus Rose, Owen Robinson, and Seth Tsang, who all made the trip to Leicester for the three day HE Atkins Memorial Congress. All three were playing in the Minor section. Marcus and Owen both finished with 3.5 out of 5, whilst Seth finished one point back on 2.5, courtesy of a last round defeat to Owen! Well done to Eva Ressel, who has already qualified for this years London Junior Chess Championships after a successful days play at the Thetford Rapidplay Congress. How many Northants players can we get to London for December this year? You can qualify from our own Northants Junior Congress in November, but for a full list of all qualifying events click here. 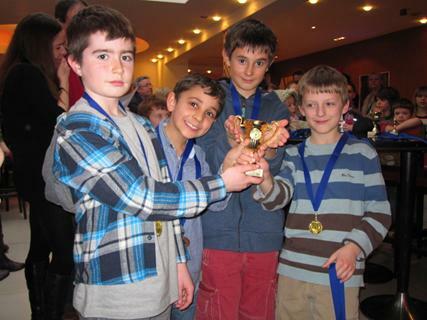 A number of players made the trip to Royal Leamington Spa for this years Rapidplay. 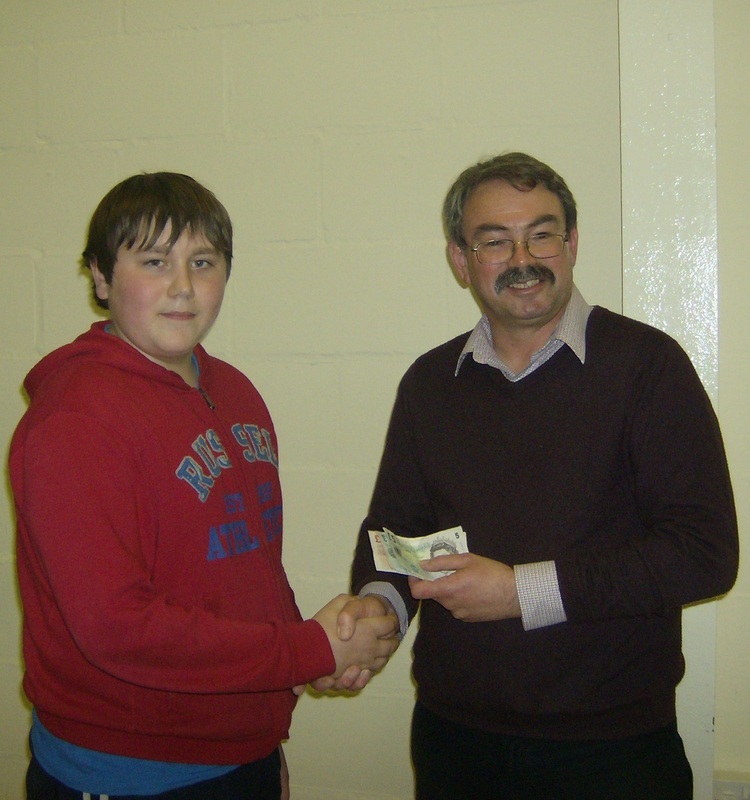 Sam Herring was the highest scroring Northants player, finishing with 3.5 out of 6 in the Under 120 Minor competition. In the same section Eva Ressel and Owen Robinson both scored 2.5, and Seth Tsang 2. All the cross tables for all the sections can be viewed by clicking here. A number of Northants County players made the trip to this years British Championships which have been taking place in Sheffield. In the under 13 section Marcus Rose scored 3.5 out of 7, including a draw against the eventual winner, and a win against joint second. In the under 11 section Eva Ressel also scored 3.5 out of 7, again including a draw with the eventual winner. Pacey Gwynne and Tyler Gwynne took part in the Under 9 section, and both scored 2.5 out of 7. Whilst in the under 8 section Max Miller scored an impressive 4 out of 6 and finished in joint 6th place. A very big congratulation to all these players, who have represented Northants so well. Looking to the older players who used to play for the NSCA, James Jackson is once again playing in the main championship, and the NSCA would like to wish James all the best as he tries to defend his under 21 title. For all the results, crosstables, and latest pairings click here.